Moi monolithic Polynesian statues greet visitors to our North Shore Lagoon. 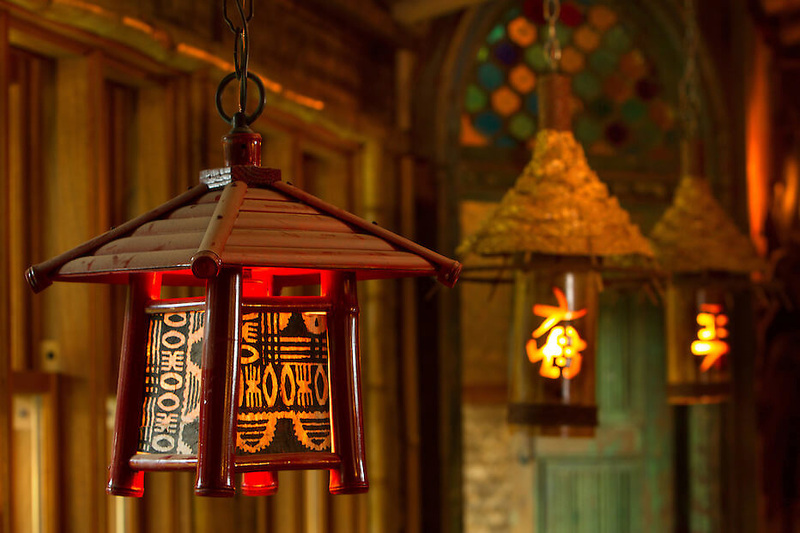 Venture inside, where bamboo from points near and far forms our "hut," and carved sandstone from Bali points your way. Head upstairs, along the shimmer of paneling made from recycled teak 100-year-old Balinese fishing boats; glance up at fixtures made from Balinese chicken cages and hand-blown glass. 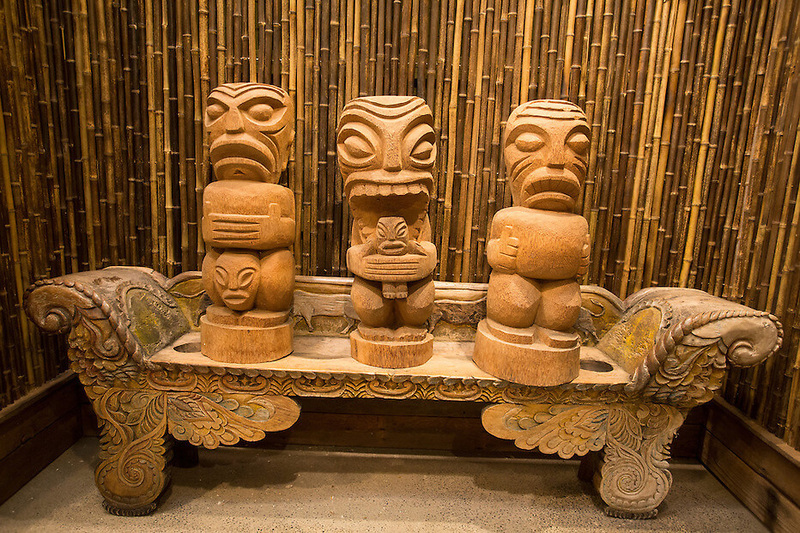 Masks from New Guinea may seem to whisper to you; a Tiki display when you enter upstairs will greet you. Sit on a bench of a Teak tree trunk pulled from a river in Bali, or perhaps the oil drum furniture from Indonesia, or the hanging boat, or bar made of Balinese Monkey Pod Tree, and unfold a menu like no other in Bothell. Potions and cuisine from the South Seas, Caribbean, South America, and those that once only existed in myth and books may be found. 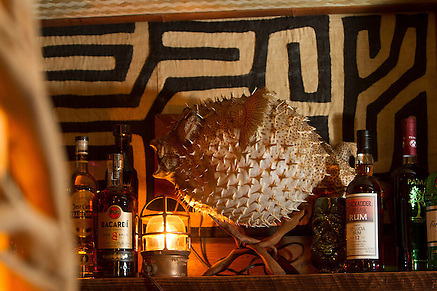 We're home to more than 80 rums. 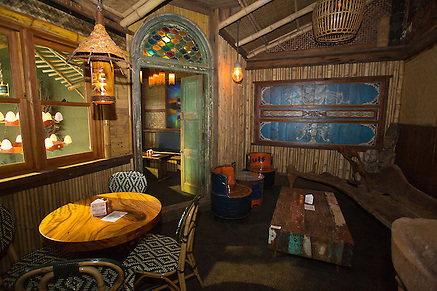 Discover coconut prawns paired with a Mango Daiquiri, and much more. 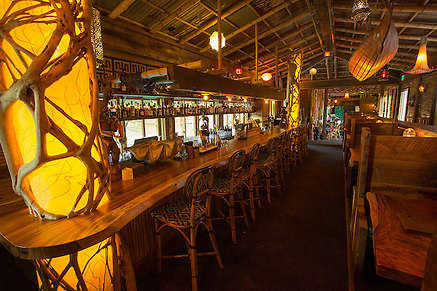 Below, take in the grandeur of the swimming pool-McMenamins first full-sized pool, flanked with Hawaiian plants and the Balinese lychee tree sun carving looking down upon the waters. The elements are welcomed in through numerous massive skylights, so feel the rain, or sleet or sunbeams as you cast yourself in this 89-degree water. Float or backstroke through the intriguing waters of the pool, open every day, which may just take on a South-Seas inlet in your mind. Enjoy seasonal outdoor dining at Wegner's Garden adjacent to the pool - and order the specialty rum cocktails and menu offerings from the North Shore Lagoon for your own little slice of paradise.